A-Frame has gained some popularity lately, and third-party developers have made libraries to make adding new VR features (and even AR!) easily to A-Frame apps. In the span of a few days, I’ve been able to create and play with regular VR scenes, networked/social VR apps, and even some AR apps. Hopefully, this will let me experiment more quickly with ideas for our Virtual Office and Virtual Art Studio projects. In this post, I will briefly introduce how to create your own A-Frame apps, and then I will link to some of the recent apps I’ve made if you’d like to explore them yourself! Line 4 includes the A-Frame library. The A-Frame code is on lines 7-17. A-Frame scenes are delineated with <a-scene> tags, and populated with primitive geometric entities such as <a-box>, <a-sphere>, <a-cylinder> etc. The <a-sky> entity will convert equirectangular images into a skybox in the scene. A-Frame also has a built-in inspector, similar to the browser’s console, that lets you inspect the details of your A-Frame scene. To launch the inspector, press <ctrl> + <alt> + i . The inspector is a great way to reconfigure and place your scene manually, showing you the corresponding numerical values on the right that you can then plug into your code. Below are some A-Frame WebVR and AR projects I have created recently, including a networked Elevr office, and the beginnings of a recreation of my studio from Banff. A simple A-Frame app with geometric primitives and a skybox. The Elevr office in WebVR! You start in the corner where the door is, use the WASD or arrow keys to move in the office or through the walls to go outside! The Elevr office, for multi-user use! Try inviting a friend to visit the same URL, or load the URL on two different devices. My Banff studio in WebVR, with some of the artworks I made there in 3D. 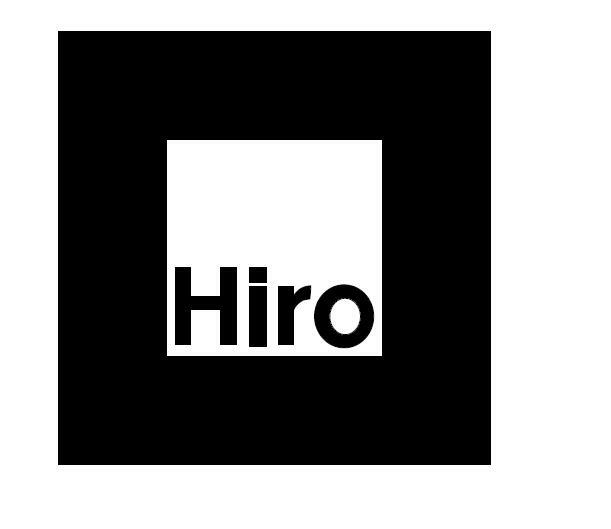 Load the HIRO marker image on a screen, or print it, and place somewhere (e.g. on a table). Stay tuned for more A-Frame explorations!